A truly woody-aromatic fragrance over a modern, somewhat oriental base Inspired by the will & freedom to fulfill dreams Conveys powerful, carnal & seductive masculinity Scent opens with a lively, spicy character Heart is softened with fresher, greener notes Top notes of pepper, ginger, raindrop accord, sudachi Middle notes of black basil, cedar leaf, hydroponic sage Base notes of patchouli, sequoia, suede and amber. 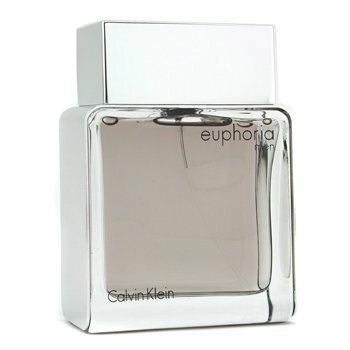 The Calvin Klein Euphoria 100ml EDT Men's Cologne was added to the Men's Cologne category in June 2016. 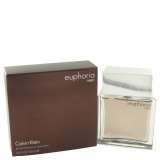 The lowest price GetPrice has found for the Calvin Klein Euphoria 100ml EDT Men's Cologne in Australia is $36.91 from Fragrance Shop. Other merchants who stock it are Fragrance Shop, Price Rite Mart, perfumesrus, Perfumery, FragranceX, Cosmetics Now, Zeina Perfume World, eSavings Fresh Scents, Galaxy Perfume.